The X-Mas Tram 2018 is sold out! Welcome, welcome! 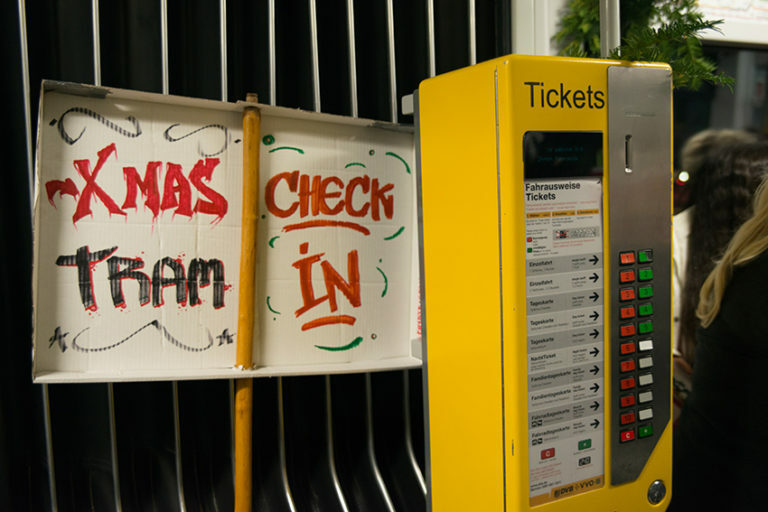 Take a seat and enjoy the ride on the intercultural X-MAS Tram! To become a part of this unique experience you will have to get your ticket first, though – all you need to know about that we will tell you about here! If you purchase your ticket earlier than the 20th November 2018 it will only be EUR 3.00. After that it will cost EUR 4.00 per person. However, there are 120 tickets, so it pays off to be quick. Of course our “godparents” do not need to buy a ticket – they will participate for free. Just visit the International Office of the TU Dresden, Zi. 671, Strehlener Straße 22, on the 6th floor, 01069 Dresden. On our facebook page (@xmastram) you can buy a ticket as well. *PS: During the X-Mas Tram pictures will be taken. The pictures will be published online, on our social media accounts and used to promote the event.